Storybook landscapes, rustic décor, and some good old-fashioned peace and quiet—that’s the call of the country. Book one of these beautiful retreats for creature comforts with a side of wilderness magic. 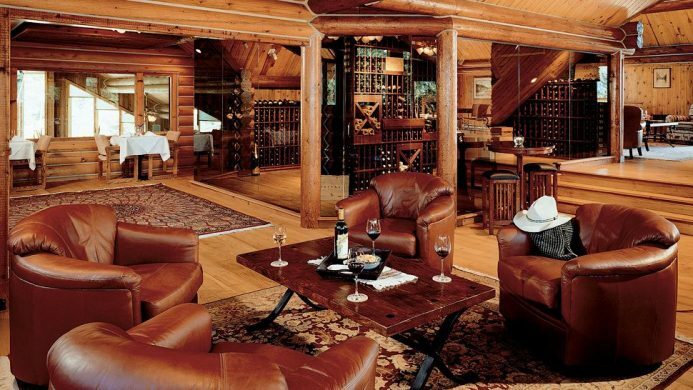 Not many places can cater to serious skiers, part-time cowboys, yogis and kids all in one go, but Caldera House in Jackson Hole, Wyoming pulls it off. 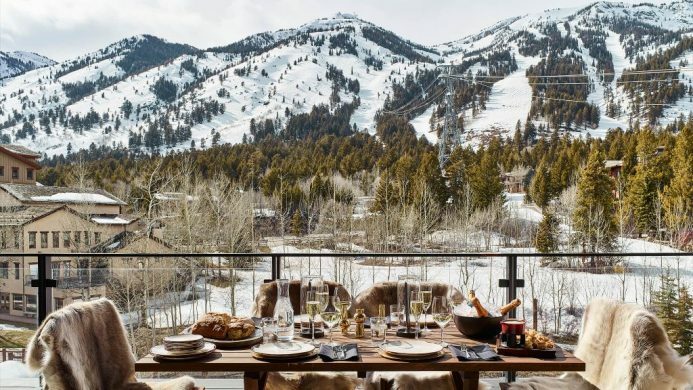 Situated at the base of Jackson Hole Mountain resort are eight generous suites with a refreshingly modern take on American lodge décor and private balcony views of the beautiful Teton Mountains to match. On New Zealand’s North Island, 17 acres of verdant grounds are flanked by the rushing Waikato River and placid Lake Taupo. 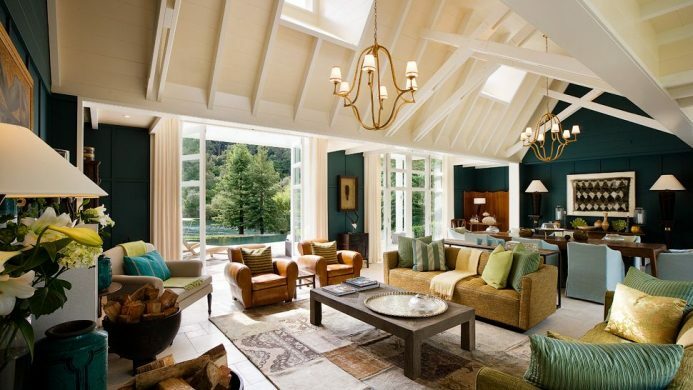 Since 1924, this has been the setting of Huka Lodge, a gorgeous boutique retreat primed for active guests who love all the plush amenities of a five-star hotel. Take up bungee jumping and skydiving or spend the day fly fishing for brown trout. Guests who hook one can have their catch of the day prepared by a house chef. 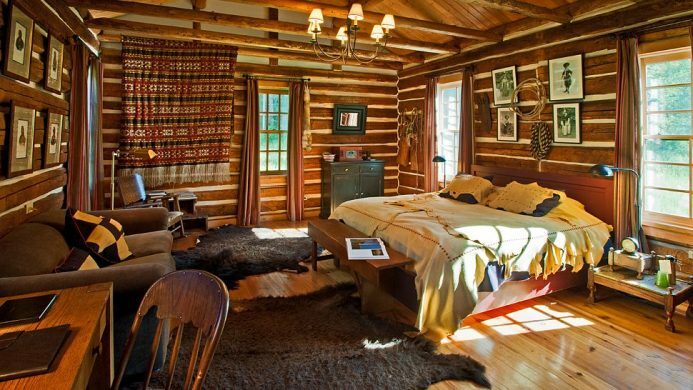 You might have “Home on the Range” humming through your head as you check into a log cabin room at Dunton Hot Springs Resort. 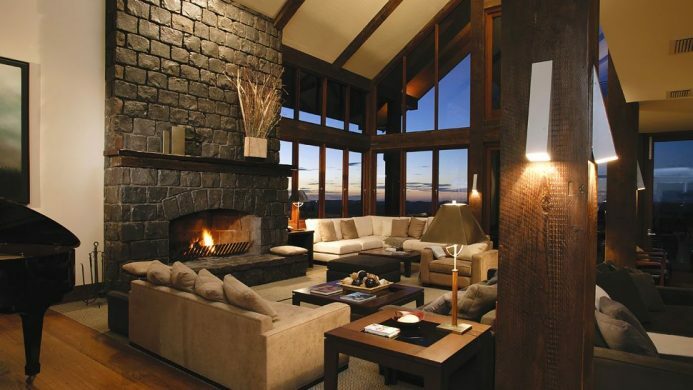 The secluded Colorado resort is built on the site of an old ghost town set in a stunning alpine valley. Rugged it is, but don’t let the bear skin rugs fool you—the resort is full service and every bit the relaxing retreat, right down to the delicious chef-plated meals at the saloon and six steamy hot spring pools. 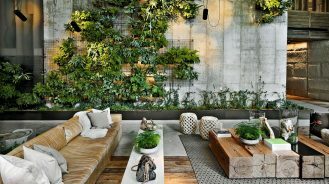 The calming effect of countryside greenery is never more accessible than on the Emerald Isle. 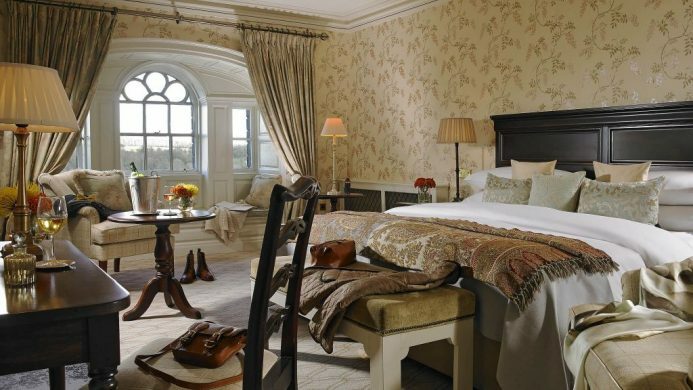 Here, in Ireland’s southeast county of Kilkenny, the manor house Mount Juliet offers a refined style of country living. Classical décor pays homage to the 250-year history of the house and its sister building, not to mention the hotel’s Michelin Star restaurant, Lady Helen. Search out more green on the property’s Jack Nicklaus-designed golf course, on a horseback ride or taking part in some falconry. Sometimes the country is a flat expanse, making way for endless sky and ample daydreaming. 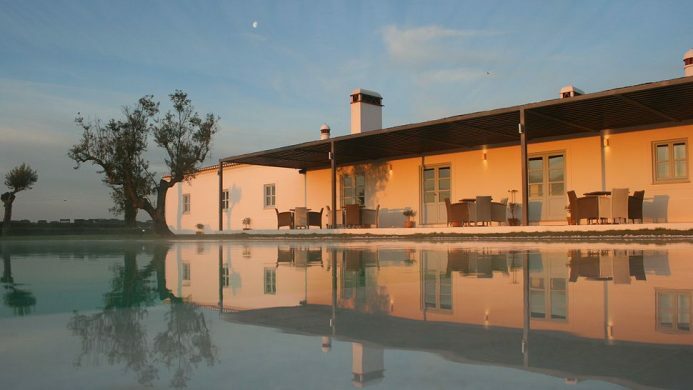 Set on Portugal’s Alentejo plain, Malhadinha Nova is an inspiring estate that will easily take your mind off any city stress. Go horseback riding, swimming or strolling with your camera to capture leaning trees and early moons. In between outings, the spa offers a variety of massages and wine therapy courtesy of the in-house cellar. “Into the wild blue yonder” is a place both appealingly unknown and mysterious, but it may have been found in The Resort at Paws Up Ranch. Encircled by vast and redeeming wilderness, the ranch property is home to roomy canvas tents for five-star camping right next to Montana’s Blackfoot River, the inspiration for the novel and subsequent movie A River Runs Through It. If you have something more refined in mind, beautiful wood cabin lodgings and relaxing spa treatments offer reprieve from your outdoor adventures. 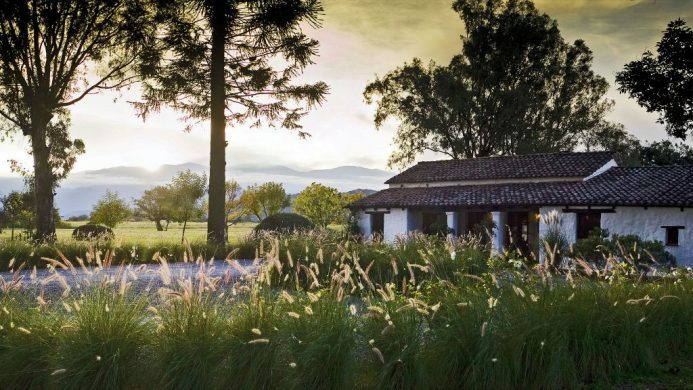 Swaying tall grass, a rustic country house and the Andes looming in the distance—that’s the scene of rest and respite at House of Jasmines in Salta, Argentina. Here the air is unmistakably fresh, the villas decidedly warm, and the 400-thread count sheets a dream to sleep in. Spend your time here outside cycling, hiking, or even just relaxing next to the pool with a glass of wine. 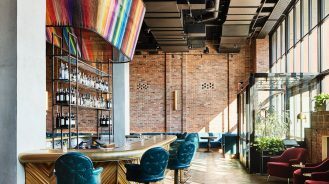 Ready to sink into a deep arm chair and sip from a lengthy wine list? Triple Creek Ranch is your spot. 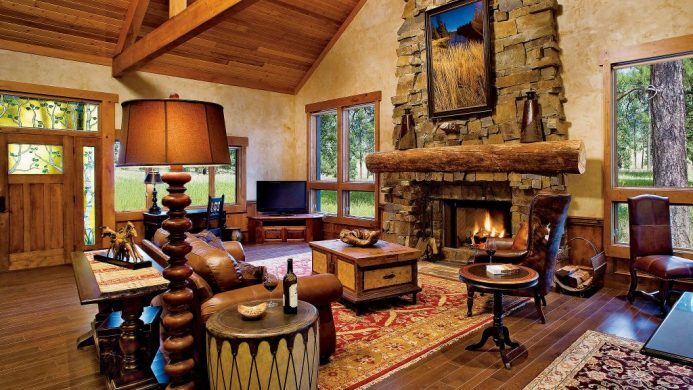 Fans of country living will quickly fall in love with the log cabin vibes and western décor, not to mention the breathtaking landscape of the Montana Rockies. Dog-sledding and cross-country skiing are popular winter activities best rewarded with a replenishing dinner and a freshly-baked cookie. When you really want to get away from it all, head to Queensland. 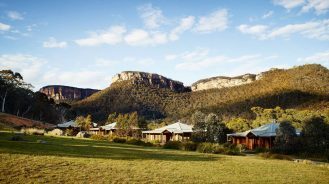 Australia’s mountain wilderness is a playground of peaks ready for hiking, mountain biking, or just sitting back and admiring. After you’ve walked through the bordering rainforest, pull up a chair or take in the view from the infinity pool at Spicers Peak Lodge. After the magic of the property sinks in, indulge further with a massage at the spa, chef’s choice meal at the lodge’s restaurant or a bottle of wine fireside.